A majority of smartphone users these days love playing games. A lot of low-end games like ‘Candy Crush’ are free, easy to download and appeals to almost every age group. Games like these can be played on almost any Android, iOS or Windows smartphone. But there are quite a lot of people out there who love playing high-end games like Asphalt 8 (arcade racing), Modern Combat 5: Black Out (shooter), Dead Trigger 2 (shooting) and several other games that are available on Google’s Play Store and Apple’s App Store. iOS Gaming in 2016 (skip this section if you’re not interested in Apple phones): If you love the iOS platform, all you have to decide is your budget. If money is not a concern, we recommend the iPhone 6S Plus 128GB – it has a lot of storage, big display and the gaming experience is the top notch. You can’t go wrong with the latest and greatest iPhone, as games and apps are designed and optimised both for the hardware and software. If your budget is about 50k to 60k, you could get the iPhone 6S 64GB (2015 model) or iPhone 6 Plus 128GB (2014 model). The difference is the display size, pick the older generation iPhone only if you absolutely must have a big display. If your budget is the range of 40k – 45k, get the iPhone 6 64GB. It’s still a good smartphone and almost every game available on the App Store can be played. We highly recommend that you opt for a minimum of 64GB storage, as 16GB is simply not enough if you decide on playing a lot of games. Windows Gaming in 2017: The variety of games available on the Windows platform, unfortunately, is still very limited. If you love playing games, avoid buying Windows smartphones. Heating: Gaming experience is never the same when the phone heats up while playing. It’s uncomfortable to hold a hot phone and it could be risky too. User Experience: Even though a few people might buy a smartphone just for gaming, majority of people will also use it as their primary phone. So the other features like user interface and the overall experience of using the smartphone was also given a lot of importance. 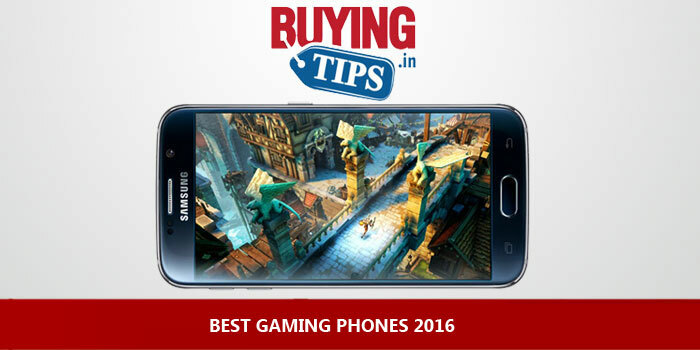 We have also mentioned positives and negatives along with the gaming review of each phone. Xiaomi Redmi Note 4 comes with SnapdragonTM 652 chipset with 2GB RAM and Adreno 506 GPU, the gaming performance is good. Low- end as well as high end games like Modern Kombat 5, N.O.V.A 3 and Asphalt 8 can be played without any lag. The phone doesn’t heat up after intensive gaming. The anodised metallic build gives it a premium classy look. The curved 2.5D glass finish makes the phone feel good in the hand. Redmi Note 4 comes with Snapdragon 652, which is usually found in mid-end phones. The performance is excellent. Camera performs well in outdoor condition. 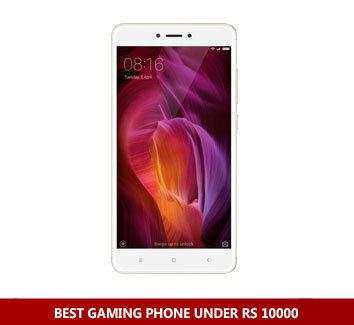 The best battery mobile phone under Rs 10000, the battery (4100 mAh) lasts for nearly two days of moderate usage. Should last one full day even if you’re a heavy user. Lenovo P2 looks smashingly premium with its looks, the metal back and bezels makes it very comfortable to hold and even with 5100 mAh battery the phone feels very light. The phone comes with a fingerprint sensor that also acts as the home button. You can custom it to the way you want. It also acts as the back button and the app tray button, this might be a bit irritating to use initially, but once you get hold of it its a bit easy to use. The snapdragon 625 processor with 4GB RAM is blazingly fast and efficient for a smooth performance. There is absolutely no lagginess in terms of performance. The phone also comes with Adreno 506 GPU that can play any game you throw at it. Performs well. Supports Dual Sim and VolTe (Jio sim )however you need to put the Jio sim in the first sim slot to use the 4G. Second sim only works with 2G and 3G. Also the sim slots are hybrid type. So that means incase you plan to upgrade your Micro SD card you will have remove one sim card. Comes with Android Marshmallow 6.0 and Vibe UI, can use google launcher as well. Coming to the battery life, the phone features 5100 mAh battery that can last for at least 3 days with minimum usage and upto 1 and half days for heavy users. The phone also comes with Ultra power mode that can additionally save upto 48 hours of your battery life. The phone includes a fast charging as well that can charge the battery within 2 hours. The cellular call quality is very good. The best part of this phone is that it also acts as the power bank, this means you can charge your other devices through this phone via OTG cable that is provided in the box. Takes average pictures in outdoor as well as artificial lighting. The selfie camera is also average. it also doesn’t come with optical image stabilisation. so the videos taken might come a bit shaky. 32GB internal storage although is sufficient, but with this price tag we expected Lenovo to give us atleast 64GB of internal storage as most of the phones at this range give us about 64GB space. This is a huge drawback. One of the sleekest and best looking phone under Rs 30000, The back looks very premium with metal build . Even though it is a 5.5 inch phone, unlike it’s predecessor, the OnePlus 3 fits perfectly in the hand. The 5.5 inch screen with AMOLED display is truly an eye catcher, the colour reproduction is stunning. Although the brightness of the screen could have been a little higher, especially in bright sunlight. We think it’s the second best display in the market today – after the Samsung Galaxy S7 series of phones. The fingerprint sensor is placed in the front of the phone, this button also acts as the home button. The fingerprint sensor is quick and one of the fastest finger print scanners in the market today. It also has the ‘always-on’ feature so even when the phone is ‘sleeping’ you can use the fingerprint scanner to unlock it. The notification slider on the left is also one of the best features in the phone, it allows you to switch between all notifications, priority notifications and do not disturb (silent). Speakers are placed at the bottom of the phone and the sound is clear and audible enough. The phone runs on Android 6.0 Marshmallow with Oxygen OS user interface. This lets you to customise on gestures like if you draw a O on the screen the camera app opens and double tap on the screen to wake up the phone. 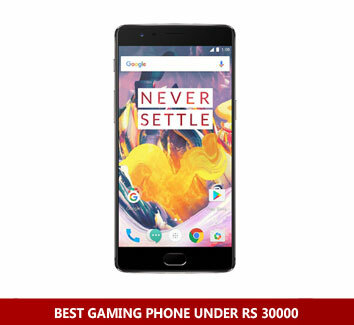 The OnePlus 3 comes with the Snapdragon 821 processor with Adreno 530 graphics and performance-wise the phone is top-notch. It’s comparable or probably even better than the flagship Samsung / Nexus devices when it comes to smoothness of the interface, giving you a completely lagfree experience. The 6GB RAM out of which 4.3 GB is available is probably an over-kill. You don’t see 6GB of RAM, but for those who like using their devices for 2-3 years, the OnePlus 3 is future-proof. You should get lag free performance even with future Android updates. Gaming wise, it can play any games you throw at it. High end games can be played without any loss of frame rates. There is no major heating issue either. The phone comes with a 3400 mAh battery, we did expect a bigger battery. The camera module pops out and the surrounding area could have been filled with a larger battery. But in today’s times, when a lot of people look at the ‘sleekness’ of phones, OnePlus opted to make their third phone as sleek as they possibly could. The phone lasted for a day with moderate usage. However it does come with a dash charger meaning it charges relatively fast without heating the phone. You can charge your phone from 0 to 100% in less than 75 minutes (1 hour 15 minutes). OnePlus has packed the phone with a good camera too. The pictures come out good in outdoor conditions. The colours are accurate and we quite liked the white balance in photos too. In low lighting condition, the photos are still good, but could have been better. 64GB internal storage is more than sufficient to store files. Thankfully, OnePlus 3T is easily available on Amazon.in, the invite system is not there anymore. Supports NFC and USB on to go. Only available on Amazon.in, you cannot buy in any retail shop or other e-commerce websites. 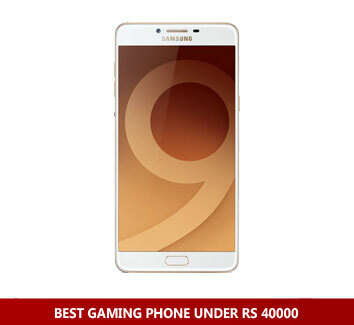 Samsung Galaxy C9 Pro is one of the best android gaming phones under Rs 40000. The device comes with Adreno 510 graphic chipset which is one of the best for high-end games. Fast processor, 6GB RAM, No heating issues either. If money is no concern, then go for it! Fast Finger Print Scanner on the home button, opens the phone within seconds. Sports a 4000 mAh battery, that can easily last for a day and half. 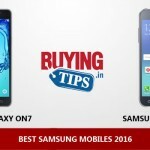 Compared to other flagship devices, Samsung provides excellent value for money. Its a dual sim phone with separate SD card slot. The audio via the headphone jack is average. No optical image stabilisation, due to which the indoor pictures come out ok, Plus it doesn’t come with 4K video recording or slow motion video recording . Samsung Galaxy Note 5 comes with Mali-T760MP8 . The gaming performance is very good . Games like Mortal Kombat X, Dead Trigger 2 and N.O.V.A 3 can be played without any problem. Excellent graphic output, gorgeous display, decent speaker quality.. just make sure you buy a cover, because the phone is slippery. K8 plus is the best.Hands down. I’m confused which one i should pick under 20000 rupees,should have no lag,no heat and powerful one.plz suggest me. I suggest everyone to buy ASUS Zenfone 2, It has 4GB RAM and 5.5 inch display, no lagging behind your gaming experience and it cost around 15k. I read in a review that the vibe x3 hangs, is it true? 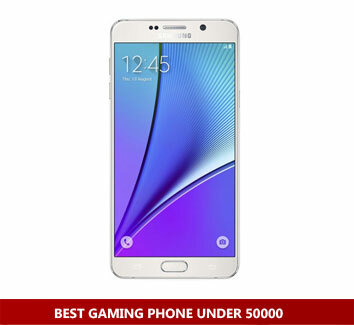 And how is the zuk z2 plus for high end gaming? What about asus phones? They have a lot of gaming phones specially the “zenfone 3” it is better gaming phone than “samsung s7 edge”….i don’t know if this phone is true “asus rog Z2 POSEIDON”…i only saw in the interner, it is like a legend to me! 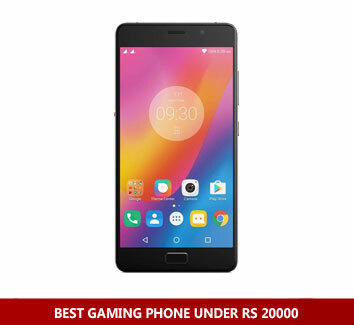 Please suggest me a non heating gaming phone. With good battery backup that lasts at least a day. My price range is 20k rupees. sir;i want a mobile under 9000with 5inch screen and good gamming phone and no heating issues and no hanging issues. plz reply me very soon.